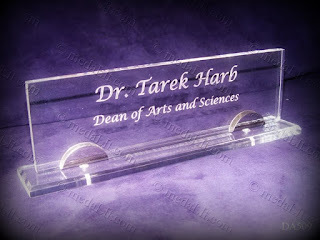 Acrylic: A rigid, thermoplastic material, available in transparent, translucent and opaque forms. Its characteristics include optical clarity and exceptional UV resistance. 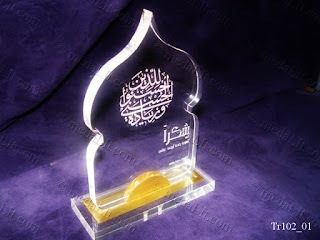 We often use it to create awards and plaques. It can be laser engraved. It’s also known under various brand names such as Plexiglas and Lucite.